For a sturdy truck that performs well under a variety of conditions, the popular Ram 2500 is a heavy-duty pickup truck with a powerhouse engine and a quality steel chassis. Tow a boat or haul a load of masonry with ease thanks to the Ram 2500's innovative powertrain design. For drivers intent on towing a boat trailer or whose primary tasks involve hauling cargo, the base model Ram 2500 offers plenty of power, with a V8 engine, ample horsepower and 31,000 pounds of towing capacity. 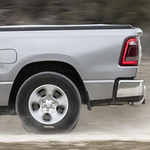 The Ram 1500 has been a popular light-duty pickup for decades. 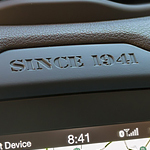 However, the upgrades found in the 2019 models keep all of your occupants safer and help prevent collisions. The Ram 1500 models now boast more than 100 safety features. Check out the upgrades in our Brooksville showroom. Pickup owners commonly use their vehicles for towing. Blind spot monitoring, cross path, and trailer detection technology help drivers tow safer by automatically monitoring and detecting problems all around the truck and trailer. 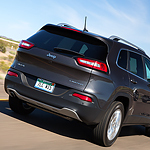 When you need to feel safe on your road trips, you can depend on the Jeep Cherokee. 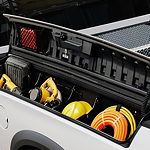 Aside from its solid construction that uses high-strength steel, the SUV protects with available driver-assist features. Its LaneSense® Lane Departure Warning can tell you if you drift across the highway and nudge steering to bring you back in line. With Blind Spot Monitoring, you’ll find out if someone is cruising in your blind zone. If you only know the Charger as a head-turning muscle car, get ready to discover a whole new side of this popular sedan when you get behind the wheel. Start with the seating. Depending on the model package you choose, you get your choice of different seat types. Select genuine leather chairs with black trim and metallic bolsters, cloth seats with patterned trim or black leather with sepia stitching. You can also select sport seating for an aerodynamic option. There's a reason the Dodge Grand Caravan is one of the most popular family minivans available today. It not only gives you space, comfort, and performance you need, it helps you maintain control. 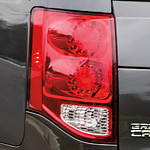 The Dodge Grand Caravan features All-Speed Traction Control which monitors for wheel slip for safety. In wheel slip situations, the system applies brake pressure to the affected wheel(s) and can reduce the engine's power to sustain traction and vehicle stability. As you are contemplating the purchase of a new vehicle, you may be considering the 2019 Chrysler 300. If that is the case, you will want to take a look at the Chrysler 300 interior features. The Chrysler 300 is a well-crafted automobile. The 300 seats five people comfortably. The 300 has a power-adjustable driver's seat. Rear seats can have this same feature is desired. 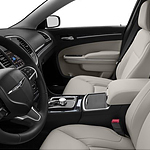 Other features on the Chrysler 300 can include leather upholstery, heated front and rear seats, and ventilated front seats. You can also obtain a heated steering wheel. The Jeep Renegade is a popular SUV for people who love the outdoors and look forward to new adventures. The new capability features of the Renegade make it an even better vehicle for people on the hunt for excitement. The all-new Jeep Wrangler is the compact SUV that you have to drive to experience. These exterior features are only part of the overall reason for the explosion in popularity of this particular SUV. The Jeep Wrangler has powerful all-terrain tires that come standard, and they work to give you the ability to handle almost any type of surface. Take the Jeep deep into the woods or on icy roads, these tires are going to grip the road and keep as much tread on the surface as possible. When you’re looking for a classic design, what types of features do you look for? Is it the colors? Or do you find one that has the right contours? Our team here at Crystal Chrysler Dodge Jeep of Brooksville is here to help you answer that question. 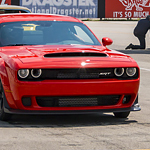 The 2018 Dodge Challenger is filled with choices in this popular muscle car. At the front of the Challenger, you’ll find quad LEDs that help you light up the night roads. 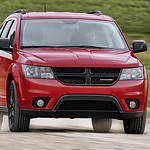 If you're in the market for a new car, you might want to consider the Dodge Journey. It has a spacious interior, a quality engine, and modern stylings. 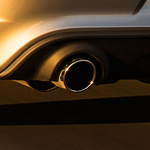 These work together, along with other features, to create an overall package that has proven to be popular with many American drivers.